In 1909, the world’s first million-pound cheque was signed in Cardiff Bay’s Coal Exchange, cementing Wales’ place as one of the world’s leading industrial forefathers. 110 years later, leaders from across Wales recently gathered in the Coal Exchange to see the launch of Welsh Government’s first low-carbon action plan. 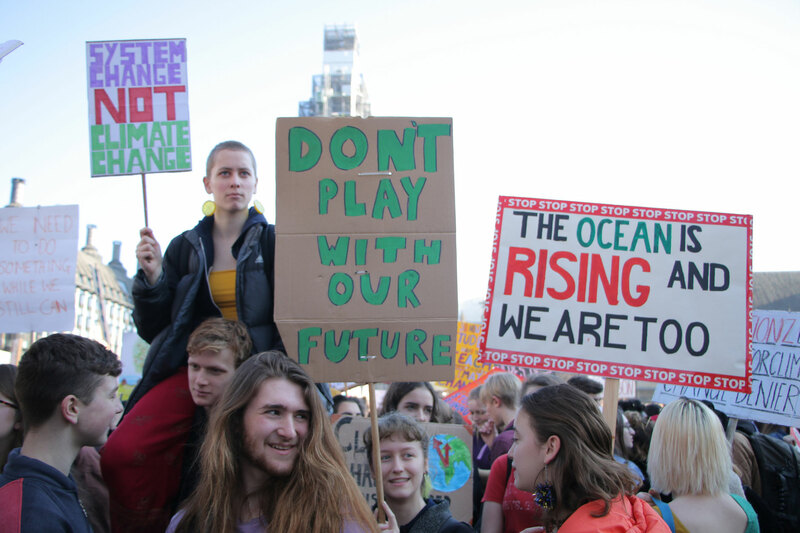 The symbolism of this significant event was lost on no-one, marking another step in Wales’ journey towards becoming a low-carbon nation against a backdrop of calls for action from future generations. 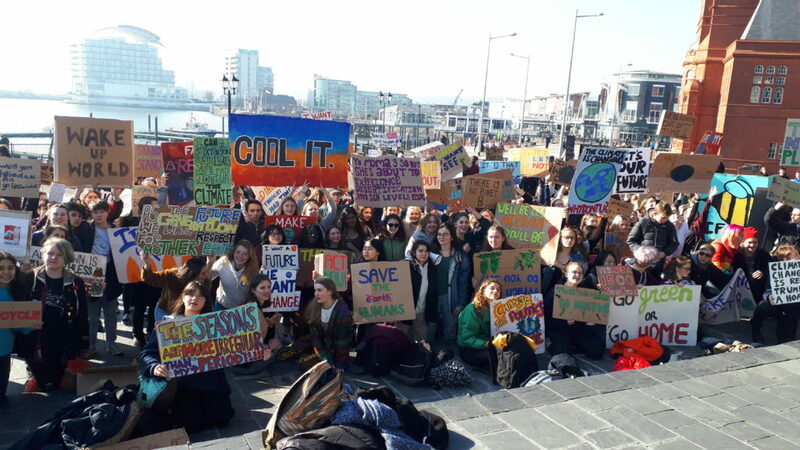 The youth climate strikes in Wales reflect a growing global movement. This isn’t just some niche issue; these are young people from more than 2000 cities across 123 countries worldwide. This is what future generations standing up and demanding better looks like. And she’s right. The issue of climate change is an issue of intergenerational injustice and inequality. Young people like Greta have had enough of democratic systems that render them voiceless and fail to factor their futures into their decisions. In 2015, Wales became one of the first countries worldwide to legislate for future generations, when the National Assembly for Wales passed the ground-breaking Well-being of Future Generations Act. The Act places a duty on public bodies in Wales to ensure they are carrying out sustainable development. It places a legal duty on the Welsh public sector to ensure that the needs of the present are met without compromising the ability of future generations to meet their own needs. It gives those working in Wales the ambition, permission and legal obligation to improve our social, cultural, environmental and economic well-being. In passing the legislation, the Welsh Government also introduced my role; that of Future Generations Commissioner; to act as guardian for the interests of future generations. But having the legislation alone is not enough. As people like Greta point out, well-meaning rhetoric changes nothing. We need to see decisive action and my role as Commissioner is to support the Welsh public sector when it comes to thinking long-term and implementing the Act. Throughout Wales, many of our former industrial towns and communities are still living the consequences of that industrial demise. The legacy of our nation’s love-affair with carbon continues to run generations deep. By considering the kind of future we want to leave behind and looking holistically at all aspects of our well-being, Wales is now working together to achieve that vision. Collaborating and sharing the learning with other nations is vital. 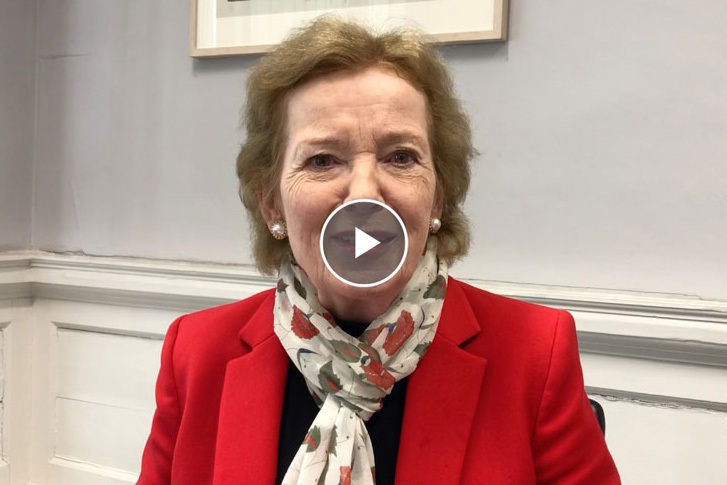 I believe our work in Wales provides many lessons others can learn from and that is why I also support the proposal of the Global Guardians for Future Generations under the UN System. If our future generations are willing to be the rebels, the troublemakers, and the ones who change the world, why can’t we? We have a choice: do we want to be the generation that seals the world’s fate or the one that secures its future? This legislation offers a chance for us to act today for a better tomorrow.